Willcutt Guitars has been in business since 1968 in Lexington, Kentucky. Owned by Bob Willcutt; a Master Luthier and Author, we offer a huge selection of guitars, amplifiers, and guitar accessories. Buying from us assures you quality products, professional setup, fast shipping and friendly service. Please feel free to contact us with any questions! All of our guitars received a FREE setup (normally $100) by our Master Luthier before shipping. The year was 1968. The summer of love, and music was changing rapidly with guitar as the main creative force. Vinyl records, Volkswagen Bugs,The Beatles and Bob Willcutt, who was already playing in top Washington D.C. bands, began repairing antique and rare instruments. Back then there were few ways to learn the luthiery trade. The market was expanding faster than the old repair guys could keep up with. They didn't understand the needs of the day. I can still hear one of them saying, "Why do you kids want such little strings," and "don't turn that amp up too loud as it might start to distort!" Good thing Eric Clapton--playing with John Mayall's Bluesbrakers--wasn't listening! The 70's and 80's brought great acts to town. Eddie Van Halen bought some red Sperzel keys on a private visit, and Howard Leese purchased a chrome appointed pink Les Paul from our custom department. Molly Hatchet, Metallica, The Who, Stones, Iggy Pop, and others dealt with us. At the same time, J.D. Crowe's band "The New South" from Lexington, KY, was the center of modern Bluegrass. Because of him, such greats as Tony and Larry Rice, Ricky Skaggs, Sam Bush, Linda Ronstadt, Steve Stills, and others were in and out of our little shop. We also became the east coast custom center for the original Schecter company and built guitars for their catalogs and Namm shows. Remember the "Dream Machines" ad in Guitar Player magazine? More of the same until about 1998 when we decided to either get bigger or go back to a one man shop. Real estate was rare and expensive in the growing Lexington area but then something was opening up as an alternative method of expansion, (Thanks! Al Gore!) the Internet! Finally there was an opportunity to bring more of what Willcutt Guitars is all about to a wider audience. Years of hands on experience has kept the old school values of proper presentation, individual set up (usually by Bob Willcutt himself) and fair dealings in place. 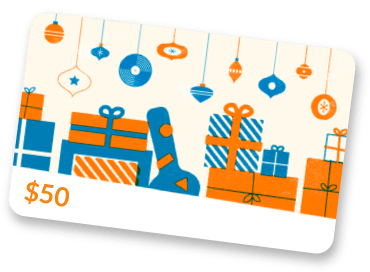 Never resting on our laurels, we continue to reinvest in the guitar industry and search the world for new quality products and methods to better serve you, the guitar lover and player. Bob Willcutt still loves repairing guitars. The nice view of downtown Lexington from his repair bench doesn't hurt. Initially working as a social worker, Bob repaired and rebuilt vintage folk instruments as a hobby starting in the 1960's. After repairing and mentoring at a local music store, he went on to found his own guitar and repair shop. Growing steadily for the last several decades, Bob has found continued success with expansion of the online retail portion of his business. In addition, the internet has helped promote his great and growing reputation as a repairman and provide new customers from all over the world. 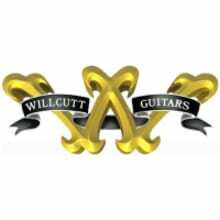 Willcutt Guitars is a guitarist's guitar store. We stock an unrivaled amount of the world's finest boutique instruments, with a knowledgeable staff to answer any questions you can hurl at us. Willcutt Guitars has been a top dealer of several of the brands we carry--some for over ten years--including Paul Reed Smith Guitars, Fender® Custom Shop Guitars, Taylor Guitars, Martin Guitars, Dr. Z Amps, Carr Amps, and more!